Whether you’re planning your first ever independent trip or you’re a fully-fledged nomad, anyone can be targeted by pickpockets or scam artists during a trip. This type of holiday disaster can be extremely distressing and expensive, especially if your money, credit cards or passport are taken. Unfortunately, pickpockets come in all shapes and sizes, but usually they work in pairs. One person will distract you, by asking for directions or ‘accidentally’ bumping into you in a crowd, then their partner will reach into your bag or pockets and take anything they can find. 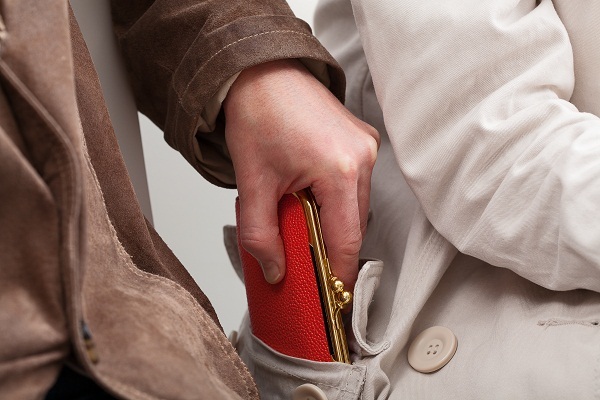 To avoid this type of crime, do not carry valuables in back pockets (instead consider a money belt), do not carry all of your money and cards in one place, make sure your bag is zipped up and in front of you. When staying in a hotel, you may be awoken by someone claiming to be from reception – beware! They may claim that a system crash has wiped your bank details from their system, and that they require them again. Do not give your details over the phone, and speak to the front desk in person instead to check if the claim is real. Seeing injured beggars whilst travelling can be heart breaking, but you should avoid giving them money. Although some people will really be begging for help, others will be faking their injuries, and some will be injured by gangs and sent to the streets to earn money for them. Instead of money, consider donating food and water – anyone truly in need will appreciate the gift. At security you have to load your valuables into a tray and then pass through a metal detector – beware of taking your eyes off of your possessions. There is a recent scam where someone will jump the queue with keys in their pocket and go through the metal detector ahead of you. Whilst you wait for the person ahead to be searched, their partner will remove your possessions from the tray and walk away. Always beware of take away menus which are slipped under your door, these could be from scam artists who will take your bank details over the phone and then empty your bank account. Check the restaurant and phone number out online before purchasing anything. Beware of women handing out lavender or bracelets and alike in the street, once you have taken the item they may take hold of your wrist and start reading your palm. Next they will start demanding money for the service, making a scene until you are embarrassed into giving them money. If you spot a similar situation walk away and refuse anything they offer.